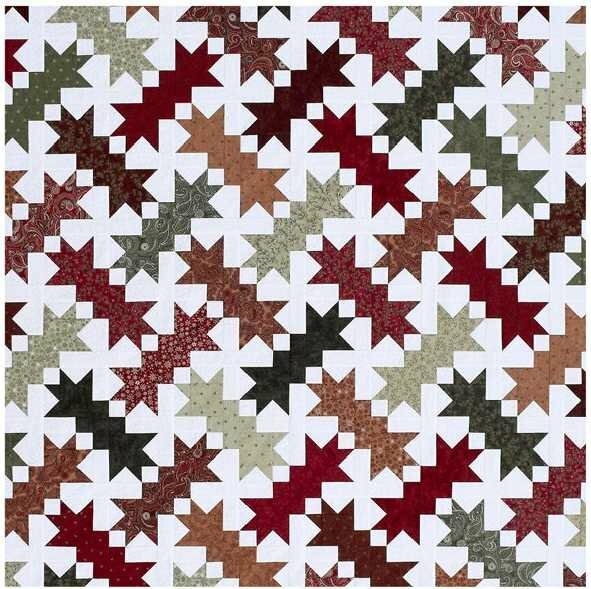 The Snow Shoes Quilt Kit uses a Doug Leko pattern to create a quilt that is perfect for display all winter long. The Snow Shoes Quilt Kit contains the Antler Quilt Designs book Once Upon A Memory, which includes the Snoe Shoes pattern. The kit also includes the fabrics for the top and binding. The finished quilt measures 62" x 74".